“Edward Bransfield Commemorative” Tartan. Designed and made by Gael Mueller in California. 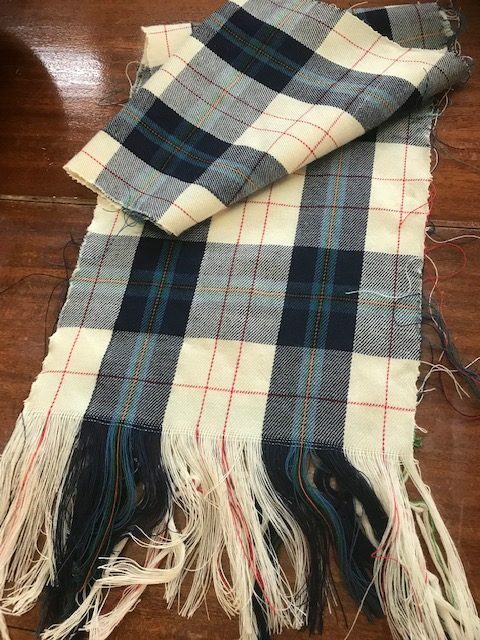 Remembering Edward Bransfield has inspired a retired Californian lawyer and weaver Gael Mueller to design and produce an Tartan dedicated to Edward Bransfield. Her visit to the Antarctic in January 2018, where she discovered all about Edward Bransfield and our project, inspired her to embark on her first Tartan project. A year later she has completed her project and produced a beautiful Tartan that has been registered with the Scottish Register of Tartans under the name “Edward Bransfield Commemorative” Tartan. Here you can read all about this excellent project from Gael herself. 2019 – January 20th: Committee member and Polar Historian Michael Smith writes about Edward Bransfield in the History Ireland magazine January/Februay 2019 issue.